If you haven’t upgraded to a mechanical pencil yet, that familiar *snap* of breaking lead will probably bring with it a sigh as you dig out your pencil sharpener for the umpteenth time. Even if it doesn’t, if you have one of these latte or espresso pencil sharpeners sitting on your desk you might find yourself wanting to sharpen it anyway! 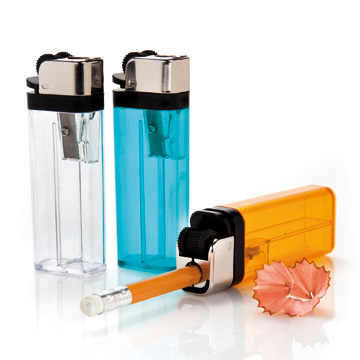 Or, if you’re looking for something a bit more discreet and portable, you might prefer one of these lighter sharpeners that look almost like they could be the real thing! Alright, so you’ve graduated and got yourself one of those fancy job things. You’ve got business meetings to attend and clients to meet, and you need to keep your business cards with you for all of those self introductions… No worries, you’ve got plenty with you, stored in your Famicom (the Japanese NES) controller business card holder! 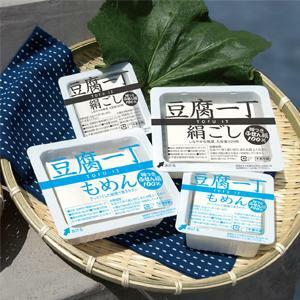 Or, for the vegetarians out there, a block of tofu note paper will do the trick just as well! Mistakes happen; we can’t always be perfect. For those spelling mistakes and pencil slip-ups, all you have to do is erase them away. Boo-boos in pen don’t go away as easily, requiring some correction tape to get rid of any mess ups. But that’s okay; if we had these clever little ketchup- and mayo-bottle correction tape pens, we’d probably be making mistakes on purpose! So it’s the end of the day. Class is over, and it’s time to shove everything in your bag and make a dash for freedom! But don’t let all of your writing utensils get jumbled up with everything else. Keep them wrapped up and ready for the next day of hard work in this delicious-looking naan pencil-case. At the end of the day, though, you may find yourself hungry from looking at all of these inedible treats!